Private room on Piper is offering a queen bedded room in a fully self contained (shared) property, brick and timber features through-out, it spells 'charm','comfort' and 'convenience'. Suitable for one person or couple only. major supermarket, a variety of convenience stores, restaurants, hair salon, discount Chemist outlet etc. to stay awhile to be close to relatives in hospital. - Your bedroom has luxurious queen bed, mirrored built in wardrobe, heater, ceiling fan, brick feature wall, ducted cooling, air conditioner, plush carpeting, plantation shutters on all windows as well as security screens. Desk and chair, tea/coffee making facilities. - Modern 3 way bathroom with bath. stove, oven, kettle and kitchen appliances, crockery. - Dining room has Timber table and 4 chairs, cabinet, ducted cooling throughout. line outside, clothes basket, pegs. - Outdoor private area to BBQ or just relax and read a book. BBQ usage is in accordance with local Council fire regulations and upon organising your own gas bottle. For 1 to 7 night stays, linen and towels will be supplied, however, if staying 7 nights or more you can bring your own linen or make arrangement with owner, linen can be organised. Laundry fees apply if change of linen required during stay. 24 hour time frame of receiving your enquiry form. Private Room on Piper is NOT suitable for pets. Private Room on Piper is a NO SMOKING property. I recently stayed at Szephora House while my husband underwent an operation at the hospital. It has everything needed for a home away from home. It is in a quite location and literally a 2 minute walk to the local shopping centre. The house was very clean and very comfortable. I would recommend Szephora place to anyone wanting a very decent, convenient place to stay in whilst in Tamworth. A most comfortable 2 day stay at Szephora House. Great nice sleep was assured with King and Queen size beds. The home was very clean and had all mod cons and a partially filled pantry. All the comforts of home. 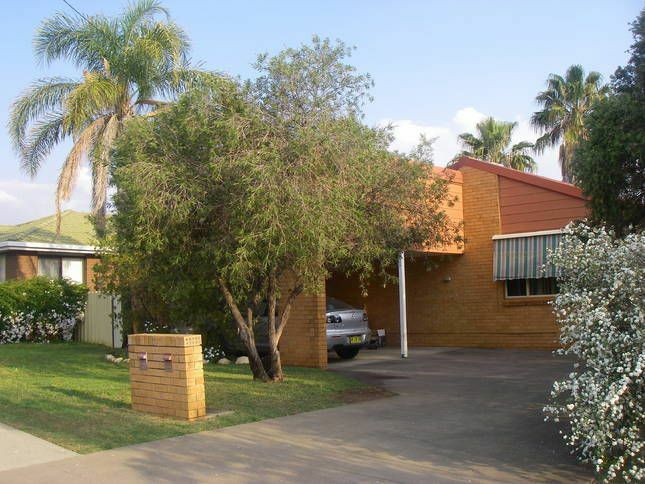 Walking distance to shops and a short drive to CBD. No hesitation in recommending the accommodation. Thank you Mike for taking the time to write a review to assist future guests considering Szephora House as their next stay. I endeavour to have my guests experience a clean, comfortable and convenient stay. Thank you again Mike for your excellent review, I very much appreciate it. I would certainly be happy to have you and your family back anytime. Kind regards, Susie. We enjoyed our stay at Szephora House. It was clean and tidy with all the things that we needed for our 9 day stay. It is literally 100m from Coles and other shops as well as the health services and we found it a good base to the city CBD as well as the major arterial routes. If there was anything to suggest, WIFI would be a terrific asset to the property. Spent 5 days at in Tamworth for a sporting event and was very happy to have this "home away from home" to come back to each night. Good lay out, private, very clean, and a cute kitten to entertain us (though the kitten doesn't come with the house). Best luxury bedding in comfortable 2 bedroom home with lots of extras. Top value & close to everything.